Estão abertas as inscrições para a 6.ª edição do Prémio Internacional de Manga. 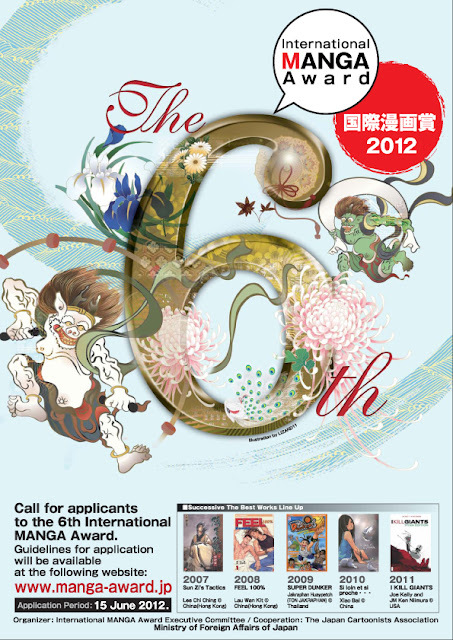 ■１：Entries will be accepted for the 6th International MANGA Award from April 27.
on the website of the Ministry of Foreign Affairs and on this website. to share Japanese pop culture and to help promote understanding of Japan. at the 6th International MANGA Award Executive committee. the prize winners to Japan to attend the award ceremony. and visit publishing companies, etc., in Japan.